When Gail Schaub, Cara Cadena, Patricia Bravender, and Christopher Kierkus, surveyed 750 students at Grand Valley State University, one thing was clear: the language of information literacy can be complex and confusing. To combat misunderstandings, Gail began a collaboration with graphic arts professor Vinicius Lima where students would create visual representations and definitions of frequently used information literacy and library terms. The resulting campaign–Learn the Terms–resulted in some beautiful work by student artists, Stephen Dobrzynski, Jacob Luettke, Micah Martin, Carissa Storms. You can read more about this amazing collaboration and view all of the resulting artwork via the Grand Valley State University’s Open Teaching Tools. The “Learn the Terms” campaign was the result of a study I did with colleagues. We discovered in a survey of over 750 students on campus (a representative sampling), that 50% of our students don’t know the meanings of words they hear regularly in classrooms and on syllabi, terms like scholarly, peer-review, and even journal. There’s a new group of students working on designs for a new list of eight terms for creation in the coming year. It’s been an incredible experience, being part of the design thinking process with these students, and I’m so enamored by their work, I want to show everyone I possibly can. We can’t wait to see what new designs this year’s students develop! In 2013, when the National Institute of Health began enforcing its Public Access Policy to withhold or delay federal grant funding if peer-reviewed publications were not submitted to PubMed Central (PMC), it caused a great stir in the world of researchers and in the academic and medical library community. Very early in my library teaching career, I created a lot of handouts. Lots. Oodles. Bunches. Boatloads. I think it was kind of a security blanket: If I don’t teach everyone everything they could ever need to know then at least they will have this handout to guide them from now until eternity! More often than not, my handouts ended up in the recycling bin. 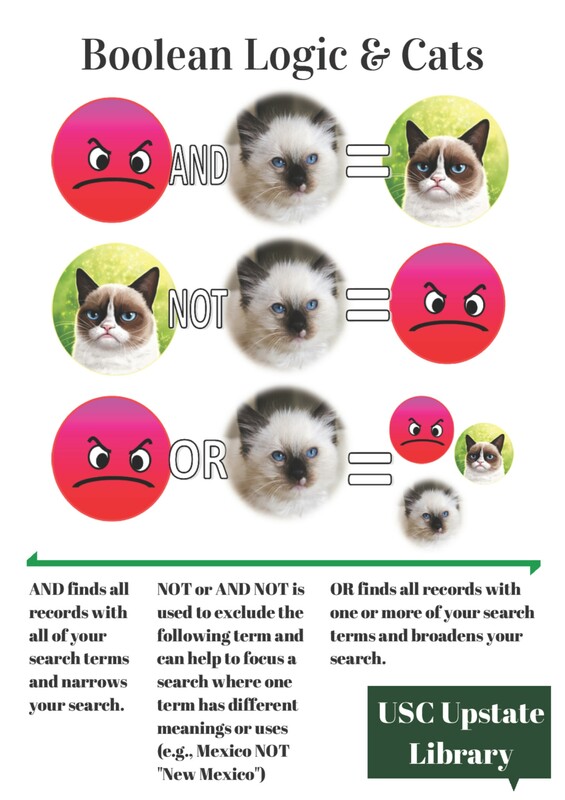 You know we love a good boolean operator graphic here at Librarian Design Share. 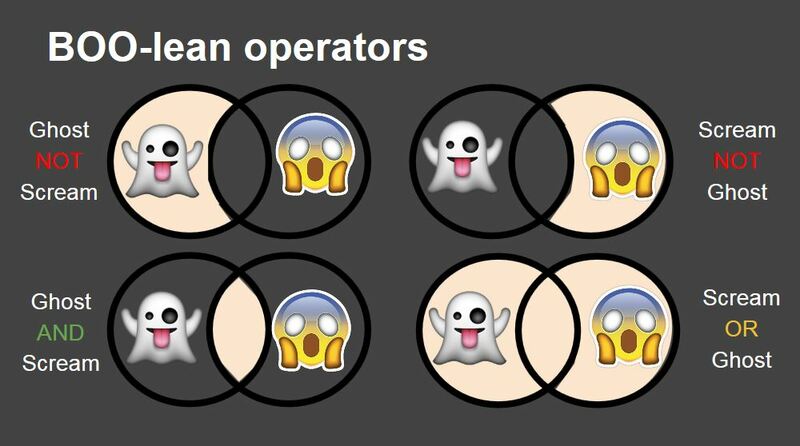 Whether its honey badgers or grumpy cats, we’re always happy to share a nice visual that will help us teach the oh-so-useful but deadly boring concept of boolean operators. To avoid that glazed over look students get when you start talking AND/OR/NOT, why not try an emoji? Today’s submission comes to us from Kelly Blanchat,Electronic Resources Librarian at Queens College (CUNY), whose presentation slide decks are known to impress. Here’s Kelly’s take on the graphic above, which she created using Google Draw. In general, I try to keep my library instruction sessions relevant to students. My personal love for emoji made it an obvious choice for this graphic, but wouldn’t it also be great to use around Halloween? Using emojis as an example can lead into a conversation about Internet resources and techniques students already use — like social media — skills that can be then adapted for library research. A good example of such a technique is to connect the idea of hyperlinked hashtags (#) on Twitter and Facebook to subject terms in the library catalog and in databases. For example, I will show students Twitter Advanced Search, as well as a few hashtags that do and do not retrieve results. From these examples I’ll discuss need for synonyms and refining search structures in library resources. Essentially the theme is, “You already know this stuff, and can apply it to your scholarly work”. We’re working on adding a copy of Kelly’s Google Draw file to Librarian Design Share Google Drive, so until then, send Kelly an email or a tweet for the original. 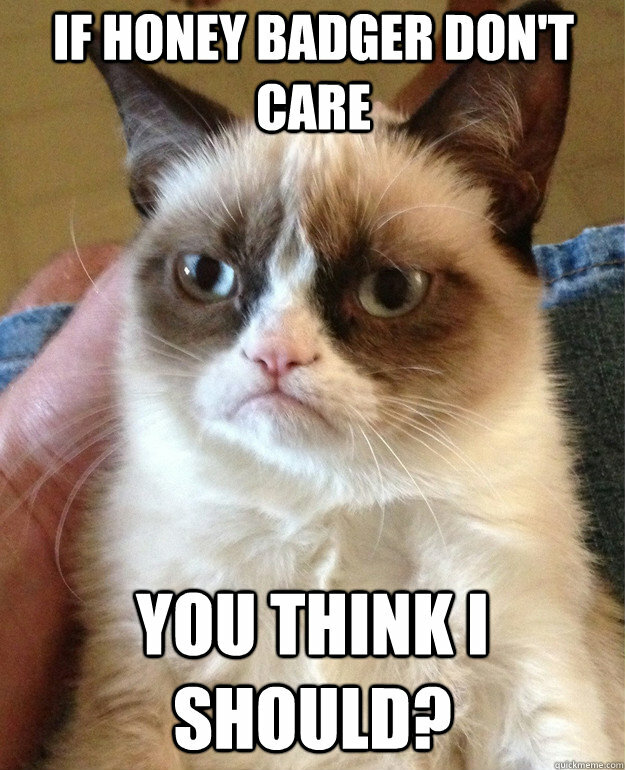 If you want to adapt Virginia’s Grumpy Cat meme to use at your own institution, contact her for the original files, or find them here in Librarian Design Share’s Google Drive. If you do alter this meme, consider submitting to us…we can make this a recurring post!